Barber shops of the 1950’s remain a legacy as is the golden age of barbering. Barber shops were a place for men to socialize, discuss the daily news, gossip and rivaled saloons in popularity. Barbershops were the stamp of masculinity and many a boy’s first steps into manhood. During the 1950’s the concept of a true gentleman was still very much alive and respected. 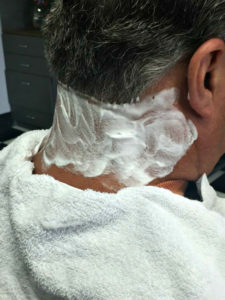 The barber provided a crucial service that was strictly masculine and almost ritualistic. It’s undeniable that today’s man is craving the resurgence of the art forms of the traditional techniques and styles found in the symbolic barbershops of our grandfathers and ready to embrace the social environment that a trip to the barber stood for. 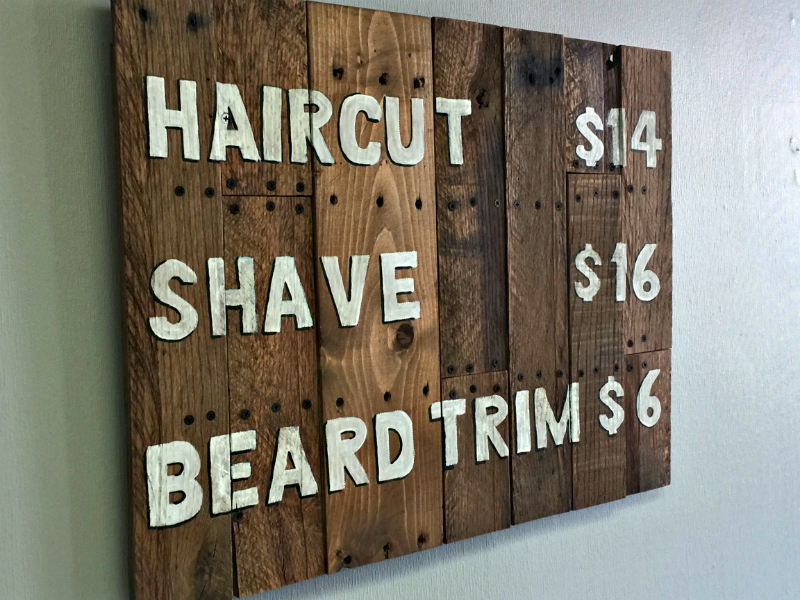 Fast forward, 2016: Welcome to Handsome Fellows Barber Shop. We aren’t talking about a visit to Los Angeles, Chicago or NYC, but Middletown, Kentucky. 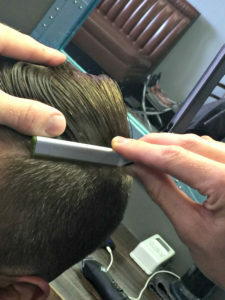 Handsome Fellows embraces the latest art forms of a traditional gentleman’s cut to tight fades, hard parts, flat tops, pompadours and all services are accompanied by an eyebrow trim and a hot lather straight razor neck shave, included in the price! 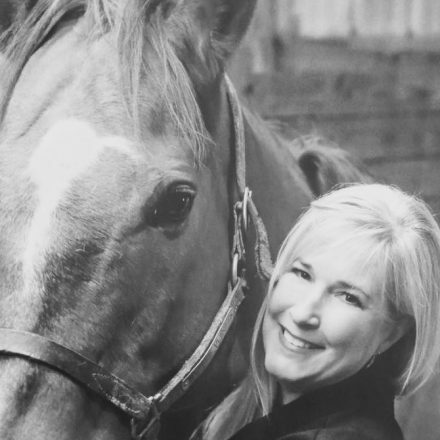 A service that owner, Ryan Cornell, states “is the cornerstone” of Handsome Fellows. Ryan and another fabulously well trained Barber at Handsome Fellows, Scott Clark, both specialize in performing grooming services exclusively for men and perform razor shaves as only a trained Barber can. 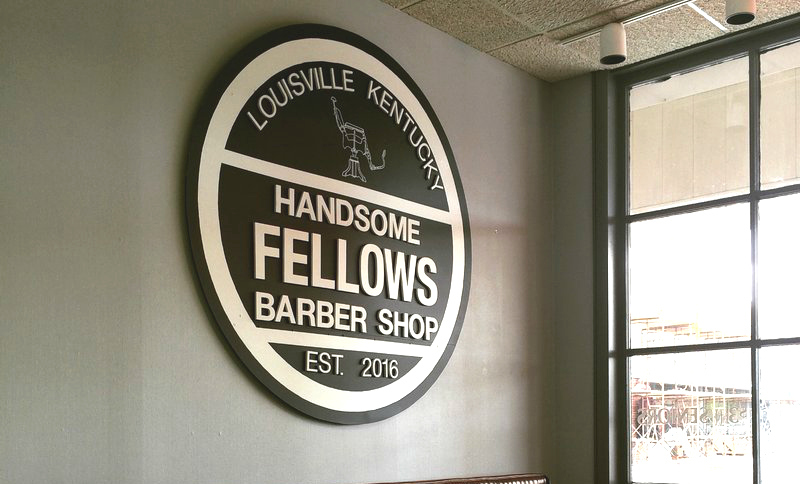 Owner Ryan Cornell opened Handsome Fellows in March of 2016 with a vision, one that stamped the idea that today’s barbering “has a concept, but he could do it better.” There are quite a few emerging Barber shops in Louisville, but none have the passion, pride and skilled hands as the Barbers at Handsome Fellows. Prior to attending one of the oldest Barber schools in Kentucky, and very possibly in the United States, Ryan had an unearthed passion that lead him to Barbering. “It’s not just about the cut and shave” says Ryan, but the anatomy of the scalp and proper care. Do not expect big screens and men tapping on their cellphones, but a step into nostalgia. Take in the smooth vibes of Frank Sinatra, The Rat Pack and Dean Martin. The perfect era of sound merging old traditions with today’s products and techniques. The art of the well groomed man is not just about the haircut and the perfect shave, but the masculine product lines they use. Handsome Fellows breathes the local flavor of infused sweet tobacco through a local line they carry, 18.21. Some say you will truly enjoy using 18.21 almost as much as your favorite bourbon or single malt. Handsome Fellows is the epitome of a “real barber shop.” For one of the best haircuts, precise shaves and beard trims of all shapes and sizes stop in today. Walk-in’s are more than welcome, in fact encouraged! Handsome Fellows is just cool. Look for the old fashioned Barber pole which handsomely welcomes you back to the golden age of barbering!